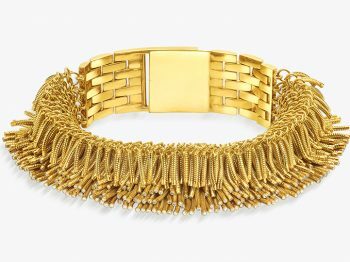 Based on the West Coast near Palo Alto, it is over the phone that The Eye of Jewelry first connected with a legend in the jewelry industry. 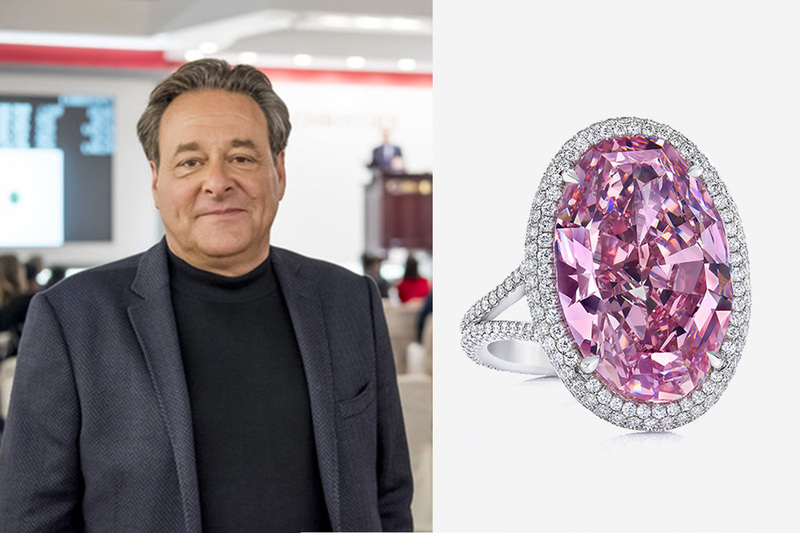 We had the pleasure to interview Stephen Silver, the man who sold the Pink Promise, a 14.93 carat Fancy Vivid Pink Diamond sold for $32’163’932 at the Christies’ Hong Kong Auction last November. A world record. If we were to describe the man who spent the last 35 years in building his reputation as an eminent gemologist, diamonteer and philanthropist it would be hard to know where to start. Putting his fascination for stones on the side, Stephen Silver loves wine, French and Italian food. He is also an avid collector of MB&F watches ; he and his son opened a successful store of independent watch brands in Menlo Park, CA and loves to relax on Mexican beaches. It is over a dinner during the annual Basel fair that we had the chance to put a face on the name of a man whose life is driven by faceted challenges. HOW DID NOV 28th, 2017 CHANGE YOUR LIFE ? It did not! I admit that it was an exciting day as it marked the end of a three-year project but my life actually changed when I first acquired the stone! I don’t usually focus on the sale but more on the project in doing the work. The Pink Promise was the biggest financial project I have ever worked on. WHAT DOES IT FEEL TO HAVE YOUR NAME ASSOCIATED TO A WORLD RECORD ? It’s fun ! 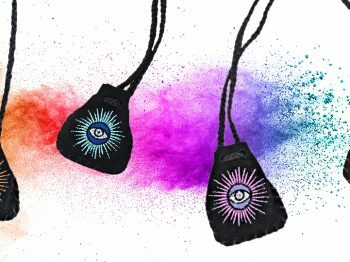 But as a gemologist the feeling is more towards what this record brought to the company in terms of experience, especially considering how much time we spent on it. It’s a very interesting and mental process I need to go through. There is absolutely nothing else that I can focus my mind on. We breathe again only when the project is over! 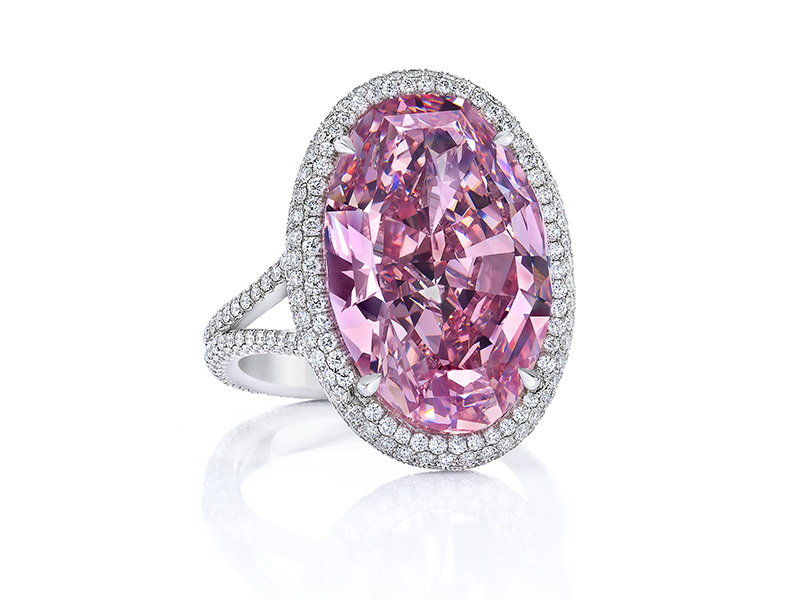 WHY DO YOU THINK THE PRICE OF THE PINK PROMISE REACHED FAR HIGHER THAN EXPECTED WITH COMPARABLE PINK DIAMONDS ? The results of the auction were pretty good. 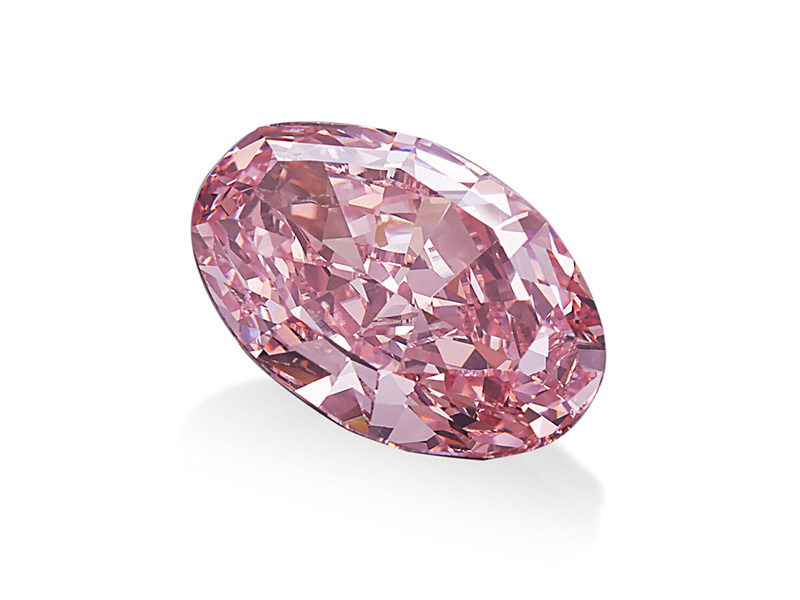 It was the finest Pink Diamond in terms of color and intensity. No other Pink Diamond had ever hit the market in recent or even past history… but I was expecting a little more momentum. I guess that’s the risk you take at putting anything into auction. WHY DID YOU CONSIDER THE PINK PROMISE A LUCRATIVE GAMBLE ? We knew we could improve it: and that’s what we do. I saw a beautiful shaped stone: absolutely magnificent, the most elegant pink diamond I have ever seen. The symmetry and the color were way off on the side of the stone. We did not know if we could improve it up to a solid Vivid. We had to have numerous discussions before cutting it. But when I bought the stone, we did not have the luxury to get the GIA’s opinion. The risk whether we could success or not was limited! WHY DID YOU DECIDE TO SET THE STONE INTO A RING INSTEAD OF KEEPING IT A LOOSE STONE ? YOU HAD MEASURED THE RISKS BEFORE STARTING TO RE-CUT THE STONE : WHAT WAS THE MOST UNEXPECTED CHALLENGE YOU FACED OVER THE 2 YEARS CUTTING PROCESS ? What happens when you put the stone on the wheel is that you know within the first 2 or 3% of the cutting (aka the carat weight we loose):we know in which direction we are going! It’s typical for any recut. It’s only when putting the big facets of the stone and moving them in different ways that you know how it’s going to react, and you can’t know before doing it. Prior to that exercise and thanks to advanced technologies, we are able to calculate the angles, the light reflection and colors intensities of the stone. Even with that knowledge, you need the experience! Bottom line: it was very risky. Considering that the Pink Promise was a Type IIa (aka deprived almost entirely of inclusions & impurities), the diamond was way more difficult to cut, slowing down the cutting process. The oval cut is the most complicated to shape! In the middle of the cutting process, we got stuck, and that’s when the GIA stepped in. It turned out to be very instrumental and the collaboration was very positive although frustrating from time to time. The second challenge forced me to make a critical decision: dropping the stone below 15 carats. It was the hardest decision ever in order to get the color we wanted, but thankfully, the intensity of color came out exactly the way I wanted… in the last 15% ! WHAT IF THE RE-CUT HAD FAILED: WHO WOULD BE TO BLAME? Once it’s done, you can’t do anything about it! Because it’s a collaborative event there is not one person that absorbs all the risks. The cutter is everything in the process. The one I chose to work with has a great track record. He is someone I have a lot of history with and many successes in diamond cuts with blue and green. If you don’t understand the stone; you can blow it up. The more intense the color, the more stressed the stone is. The important part of the story is based on respect, confidence and relationship. There has been a lot of players in that story besides me! I was the leader but many people were involved in the project. Without them, the project could not have gone through. I am proud of the result but more proud of the people I am surrounded with. They are the best in the world as much as I am concerned.